This article is a list of property blogs in the UK, let us know if you feel we are missing any important entries. These property blogs are some of the best places to be informed about the latest information in today’s property market. If you’re looking for insightful information, you’ve come to the right place. We selected the blogs which regularly provide knowledgeable content where local property experts offer a wide array of advice such as investing and property management tips. Property Industry Eye is dedicated to the publication of independent, unbiased, factual and accurate news reporting of matters of interest to those working in the United Kingdom property market and beyond. They provide a forum for public discussion, debate of topics of the day and give a vehicle for service providers to reach their markets. Also, they are pro the estate and letting agency industries and believe that the vast majority of individuals within firms are hardworking respectable professionals. Estate Agent Today is owned and operated by Angels Media Ltd, a Limited Company registered in England. Estate Agent Today, known as EAT, is a leading online news publication for the estate agency industry, a website aimed at delivering daily news and supplier/product information. EAT was launched in 2008, offering the latest industry news, views and PropTech developments, making this property blog one of the UK’s largest estate agent websites. The Negotiator magazine is the only printed trade magazine which is distributed to the entire UK estate and lettings agency industry. Celebrating 30 years of continuous publication, The Negotiator has been a rock in the turbulent world of property and now stands as one of the strongest, and most enduring brands in UK residential agency. The Negotiator magazine has kept generations of estate and letting agents in touch and informed with the news and developments in the industry. It continues to do so, produced by Propertydrum Ltd, publishers with long experience in the market and the highest standards of professionalism. LandlordZONE is a free open access website for landlords and agents involved in letting property. The blog has been helping landlords and agents to manage their investment properties successfully since 1999. It is also an online community with Forum, Blogs, Articles, Legal Updates, Landlord Guides, Daily News, RSS feeds and Social Media links. The property blog provides free access to comprehensive and reliable information, case law, letting processes and procedures; resources such as forms, notices and standard letters. The Rat and Mouse was founded at the beginning of 2005 by mysterious and pseudonymous writer/publisher Ben Brandt. In less than a year it had become cult reading among both home-movers and the property industry, offering a unique cocktail of property gossip and market news and views. The Rat and Mouse has been featured in the Sunday Telegraph, quoted in the Guardian, the Times and the Financial Times, by the BBC and Bloomberg, and it’s been consulted by ITN and Business Week. It’s been named one of the world’s top 50 business blogs by the Times, and one of London’s top 50 websites by Time Out. Zoopla is the UK’s most comprehensive property website, focused on empowering users with the resources they need to make better-informed property decisions. They help consumers both find their next home and research the market by combining hundreds of thousands of property listings with market data, local information and community tools. Launched in 2008, Zoopla has since been one of the fastest growing websites in the UK, now attracting over 40 million visits per month. They are proud to have collected numerous awards and accolades along the way, including being named one of the Top 10 UK Tech Companies (Guardian) and one of the Top 10 Most Innovative UK Companies (Smarta). Rightmove is the UK’s number one property portal and the UK’s largest property marketplace. They bring the UK’s largest and most engaged property audience and the largest inventory of properties together in one place. Rightmove’s customers are primarily: estate agents, lettings agents and new homes developers. Currently, more than 90% of all UK Estate Agents choose to be members of Rightmove and advertise their properties on this property website. The Rightmove blog is rich in property information and provides free access to comprehensive and reliable articles. Try out their smartphone app too.  Register with Love Your Postcode and we will notify you as soon as we get a new local or national property news. Love Your Postcode has become one of the top estate & lettings agents because of how our group pays attention to each client. With us, you’re guaranteed a trusted partner that know property prices in your area better than anyone and employs experienced staff that anticipates your every need. Contact our teams today, call us on 0800 862 0870, check our blog or book your free online valuation.